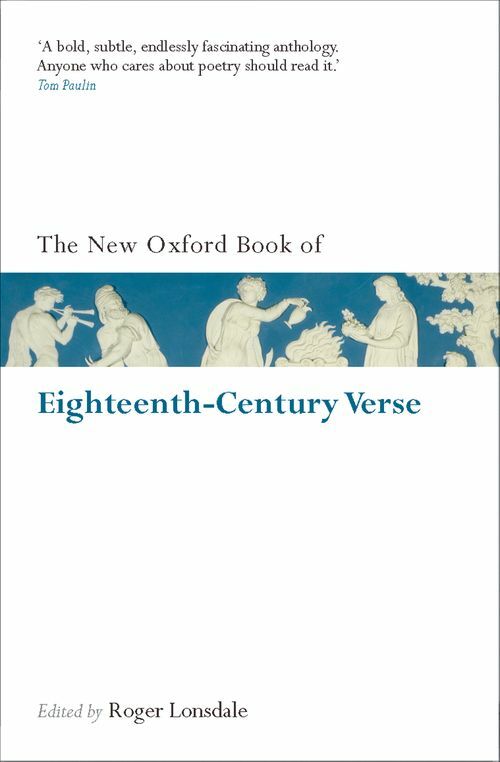 No previous anthology has succeeded in illustrating so thoroughly the kinds of verse actually written in the eighteenth century. The familiar tradition is fully represented by selections from such poets as Pope, Swift, Tomson, Gray, Smart, Goldsmith, Cowper, Burns, and Blake. In addition, the anthology includes verse by many forgotten writers, both men and women, from all levels of society. Although they have never figured in conventional literary history, they wrote humorous, idiosyncratic, and graphic verse about their personal experience and the world around them, in a way that should challenge received ideas about the period's restraints and inhibitions. Emeritus Fellow of Balliol and former Professor of English at the University of Oxford, Roger Lonsdale is a celebrated authority on English literature of the eighteenth century. He is the author and editor of numerous books, including, most recently, Samuel Johnson's The Lives of the Poets (four volumes, OUpP, 2006).